Many clinical trials aiming to treat the elusive neurodegenerative disorders of Parkinson’s, Alzheimer’s and Huntington’s diseases and amyotrophic lateral sclerosis (ALS) have failed. 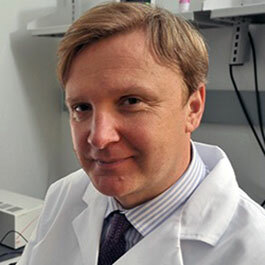 "However, we have learned important lessons from these failures,” Dr. Dimitri Krainc recently said in a CNBC story about finding a cure for Parkinson’s. Krainc, the Aaron Montgomery Ward Professor of Neurology and director of the Center for Rare Neurological Diseases at Northwestern University Feinberg School of Medicine, is putting those lessons to good use at Lysosomal Therapeurtics Inc. (LTI), which is dedicated to innovative research and development in the field of neurodegeneration. As co-founder and chair of the scientific advisory board at LTI, Krainc is focused on finding treatment options as soon as possible for patients with severe neurological diseases. The company developed LTI-291, a novel, first-in-class drug compound aimed to specifically treat patients with GBA-associated parkinsonism (GBA-AP). Additionally, LTI is expanding its research into other lysosomal enzyme deficiencies, which may be significantly involved in multiple neurodegenerative diseases, thus unlocking the true potential of the company’s discovery platform. At Northwestern, Krainc chairs the neurology department – one of top in the nation – and collaborates with experts throughout the University. He said he chose to come to Northwestern after serving 20 years at Harvard because it offered him the opportunity to work with experts in nanotechnology, medicinal chemistry and biomedical engineering. He believes this kind of collaboration will help discover therapies for these neurodegenerative diseases.